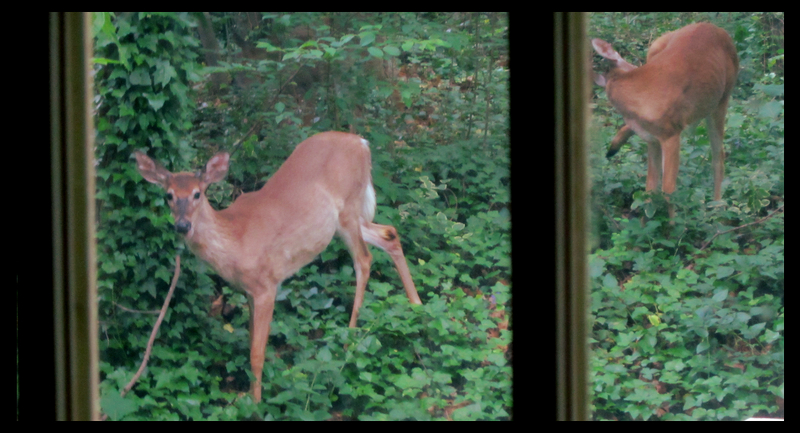 It’s always so hard to catch a deer in a photo. They move around so much, that every other picture is a blur. I guess it’s the same as with my dogs. 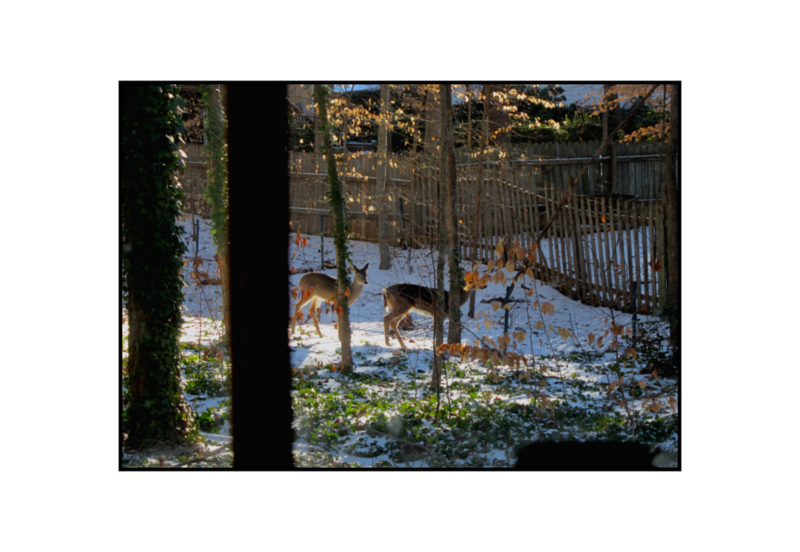 Anyway, here’s a shot, taken out of the back-yard window, showing the start of a procession (four deer altogether) – parading through my little nature preserve. Figure 1: A look through the kitchen window, brings the park to me! I go to the park less frequently in the winter season, but sometimes the park comes to me! Here is a photo that was taken from the kitchen window.